Peaky Blinders is a Netflix series that is trending high now days, is an epic series, revolving around a gangster family that set in 1919, Birmingham, England. The storyline is based about time after the First World War and is centered on the Peaky Blinders gang, their adventures and ambitions. Apart from all the thrill and adventure that has made it a most popular series; the inspirational outfit styles of the main characters have received an overwhelming response from the viewers. After viewing the fabulous clothing styles of the Peaky Blinders Era especially Tommy and Arthur Shelby we can say one thing for sure, British men must try to revive their classy style history. 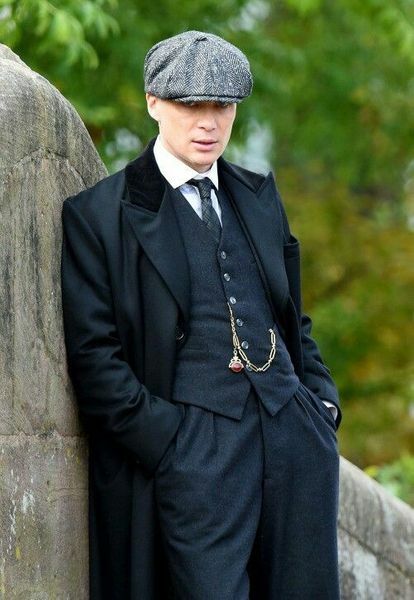 Cillian Murphy as Tommy Shelby has played a role which influences the audience by his boldness and sophisticated charms. He has established his outfit styles as being timeless and elegant while gaining immense popularity in the modern world. His brother Arthur is as stylish in the selection of outfits and the distinct features of their clothing styles are the rougher and heavier wool suits with cuff, overcoats, checked suits and shirts, elegant shirt collars and detachable collars suits which were the clothing styles generally followed by the gentlemen of business class. Dressing up like Peaky Blinders is a lot much easier and stylish than any other latest fashion icons and the great thing is that all the dressing styles of Shelby family are far more modern and appropriate for the contemporary gentlemen than any other fashion and style. The suits of Tommy and Arthur Shelby are the most amazing outfit styles that are worth replicating in our day to day pursuits. The vintage tweed suits checked suits and the three-piece suits with the slim lapels, narrow cut shoulders which are elegantly paired with the slim fit trousers are the best style moments to be recreated. If you want to see the kind of sophisticated drape of suits as you view in the show, you must avoid too light weighted fabric. The suits that you can see in the show are designed and tailored by Keith Watson who is very famous for his traditional cuts. Wear a Peaky Blinders Suit for a vintage wedding. The 1920s Outfits give a rustic look. The overcoats are the most noticeable clothing items over the Shelby brothers especially Tommy Shelby. He usually wears the single-breasted overcoat in black, which is tailored from heavy wool cloth, peaked lapels and black velvet collars. 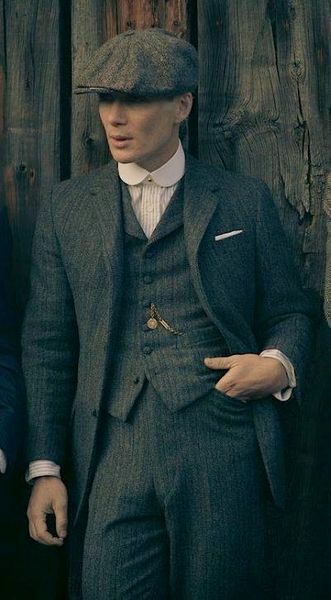 Although, this type of city overcoat is not worn with a heavy tweed suit, but Tommy has a rebellious personality. You can make the look customized according to your own choice. The classic white shirts that featured single cuffs along with the stiff, white detachable collars are the worth copying style of their outfit. The penny collar shirts are made to measure. A Peaky Blinders style shirt needs to fit perfectly. You can also see all sort of striped shirts on Shelbys, too. This is a kind of style that gives you a classy and retro look in a true gentleman style and you must try to recreate this look. Tommy and Arthur Shelby are also seen without their suits and coats. Dress like them and wear a penny collar shirt together with a waistcoat. The fabrics and the cut of the penny collar shirt and the waistcoat are essential.